Conceived as a mixed-use lifestyle development, Tigné Point is currently best known for its luxurious apartments, that continue to attract buyers from different corners of the globe. The development also offers leisure activities, retail outlets, bars, cafés and restaurants as well as the full-fledged football pitch and training complex of the local Sliema Wanderers’ football team. One of the most salient aspects of this project is the fact that all traffic has been routed underground, providing a 30 acre car-free zone at ground level. The HVAC system at Tigné Point is a prime example of innovative technology providing economic solutions for corporate and residential applications alike. 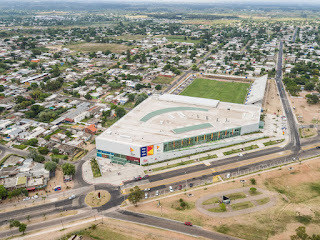 The environmentally-sound and energy-efficient climate control system supplies heating and cooling to 25,000 square metres of retail space and some 200 homes. It will also cater to 14,000 square metres of office and commercial space that is currently under construction at Tigné Point. The system is based on 4 FOCS W/H 3602, 1 FOCS2 W/H/CA-E 3602 with a HWT kit, Climaveneta’s water to water high efficiency heat pump, with hydraulic side reversibility and 2 EW-HT1204/S, Climaveneta’s water to water heat pumps, heating only with very high temperature water production.